The beauty of the masjid lies in its unique structure. 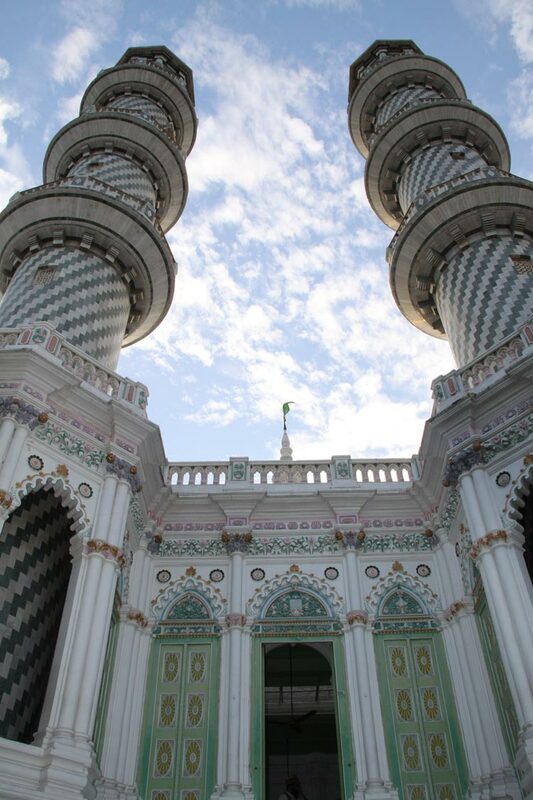 It renders peace and spiritual tranquility that emits from its white minarets. The travelers cannot miss the many doors it has that are made from sandalwood. It is aptly a major tourist destination for its majestic creation. It is a fine example of the extraordinary style of Muslim architecture from the ancient period. It also has a tank of water that is used by the devotees before praying. 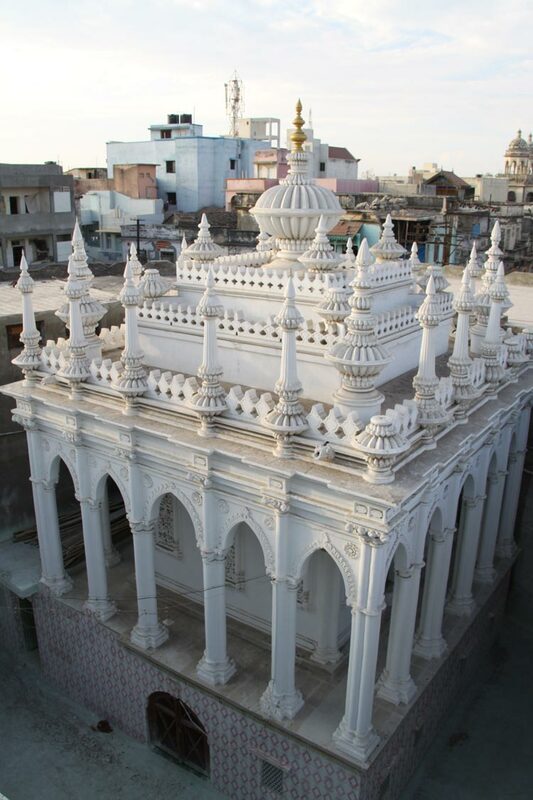 The Ratanbai Masjid is one of the oldest mosques in the city of Jamnagar, Gujarat. The Masjid holds great religious value in the hearts of its followers. Over the centuries, a great number of tourists visit it quiet often to pay their offers to the divine. One cannot miss the religious house if stepped in Jamnagar city. The city of Jamnagar is popularly called Chota Kashi for it comprises of mostly religious establishments from temples to mosques. The Ratanbai Masjid falls under the Kadiawad area. Jamnagar is an important city in the state of Gujarat and can be easily accessed from all parts of the country. It is 92 kilometers from neighboring city of Rajkot which is connected by government buses that ply through the stretch. Jamnagar is also very well linked by rail connecting the major cities. It is well linked with Ahmedabad and Surat on the Western Railway. By air one can get down at the Jamnagar airport which is just 10 kilometers from the site. One can visit the mosque anytime but the best time to cherish its religious charm is during the period of Ramadan and during Eid-ul-Fitre. The enormous Ratanbai Masjid illuminates gloriously under the beaming moonlight. It is significantly an important religious travel site in India due to its religious inheritance.